(Natural News) Not that we’re necessarily his biggest fan, seeing as how he’s notorious for pandering to Leftist “crybullies” in the name of political correctness. 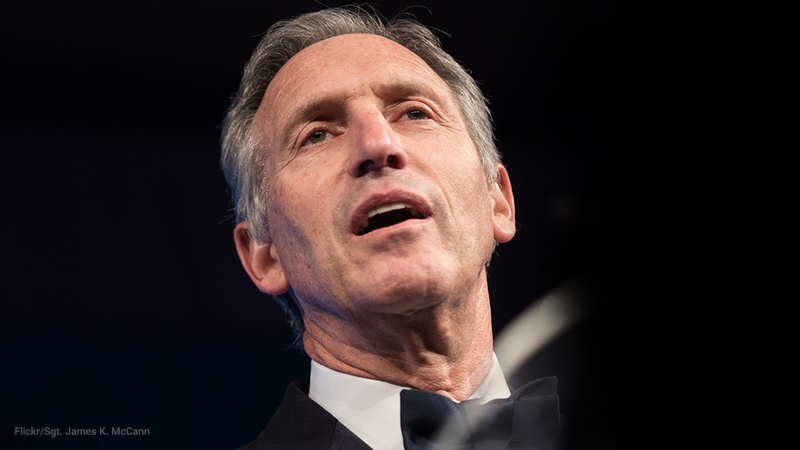 But Starbucks founder and former CEO, Howard Schultz, does deserve some recognition for exposing the new far-Left Democratic Party as a hate-filled cult comprised of death-loving Satanists. You see, ever since he first announced his run for the 2020 presidency, Schultz has faced an endless barrage of hatred from members of the Left Cult, which see him as an existential threat to socialist-communist darlings like Alexandria Ocasio-Cortez (AOC) whom the New Democratic Party are aching to see installed into the White House in two years as a replacement for President Trump. Since he’s a self-made billionaire, Schultz simply doesn’t fit in with the current far-Left culture of hating everyone who’s successful. People like AOC and her worshipers, it turns out, actually want to see all billionaires like Schultz completely removed from American society, and the fruits of their labor divvied up not only to people who can’t work, but also to people who won’t work. For more related news, be sure to check out LiberalMob.com and Tyranny.news. Matthew Continetti, writing for The Washington Free Beacon, describes what Schultz has faced from the Cult of AOC as “sustained, ferocious, and panicked attacks” – which, again, derives from the New Left’s absolute hatred for anyone who actually works hard, makes money, and achieves the type of success that they themselves are incapable of achieving. To Schultz, the problem lies with both major political parties, as both establishment Republicans and establishment Democrats continue to fail at doing what’s right for all Americans. In many ways, Schultz is attempting to break the Democratic status quo in much the same way that Donald Trump broke the Republican status quo – and naturally, the baby-killing Leftists hate him for it. “Both parties are consistently not doing what’s necessary on behalf of the American people and are engaged, every single day, in revenge politics,” Schultz recently stated during an interview with 60 Minutes. So where does that leave us? On the one hand, the seething hatred coming from the Left Cult against all voices of reason both within and without their party all but ensures Trump’s reelection in 2020. At the same time, America’s silent centrists are getting a bitter taste of what the Democratic Party has become, which could steer even more of them towards “outsiders” like Schultz and Trump, as opposed to deranged extremists like AOC, Kamala Harris, Elizabeth “Pocahontas” Warren, Ilhan Omar, and the various other Left Cult tyrants that the Democrats are propping up as contenders in 2020.